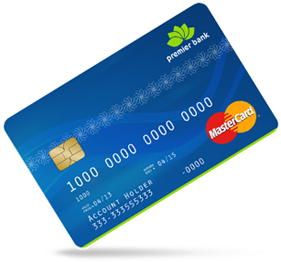 Premier MasterCard Debit combines the convenience and benefits of MasterCard, with the control of spending your own money. You can use your card to withdraw money directly from your account using any MasterCard branded ATM machine worldwide. Powered by MasterCard, your Premier MasterCard Debit is accepted at over 33 million locations around the world. It can be used for cash withdrawals and balance enquiries at 1.9 million ATMs worldwide. You can use your Premier MasterCard Debit to withdraw up to USD 1,000 daily. Weheliye Prepaid MasterCard allows you the flexibility to top up in your budget giving you the convenience option, whether you are transacting locally or abroad. You can also use Weheliye card for online shopping. 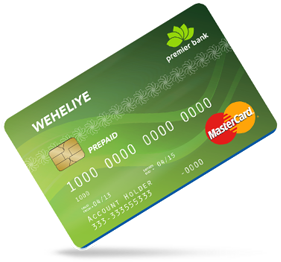 Weheliye Pre-Paid card is your guaranteed partner in traveling and shopping. Get yours TODAY and enjoy the freedom of international banking! Visit any of our branches at KM4 or Bakara. Top up charge is 5% of the amount.